From the article, “A Chile-Blessed Christmas around the World,” a New Mexico favorite. This dish is traditionally served during the Christmas season in New Mexico, when a pot simmering at the back of the stove provides a welcoming fare for holiday well-wishers. I can’t remember any holiday party or dinner that I’ve attended that this stew hasn’t been served. At my house this is a staple on Christmas Eve. I always have a pot ready to warm my husband and I up after strolling Old Town and enjoying the luminarias. Similar to, yet different from the “pozole” served in Mexico, this popular dish is served as a soup, a main course, or a vegetable side dish. 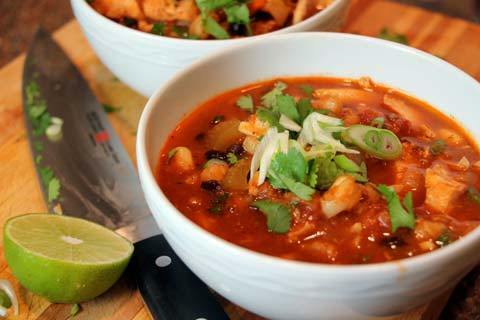 Posole, the processed corn, is the main ingredient of this dish of the same name. 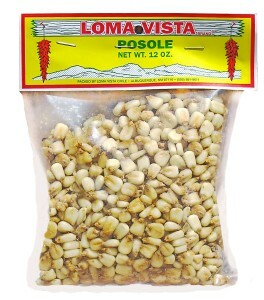 If posole corn is not available, you may substitute hominy–the flavor won’t be quite the same, but it will still be good.